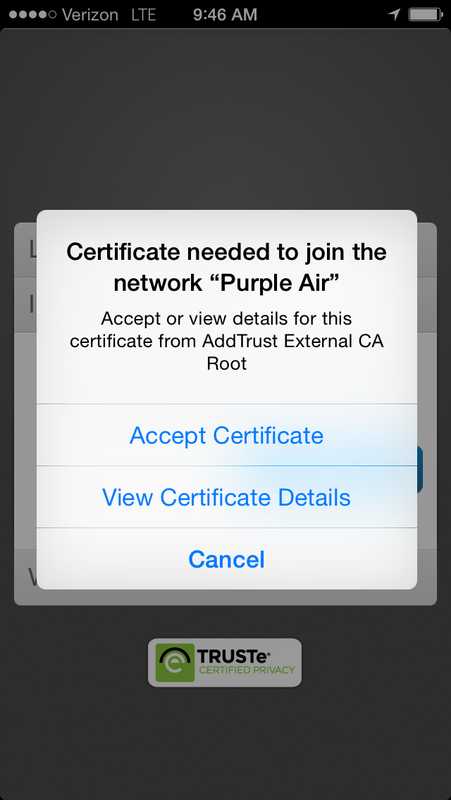 To join Purple Air most devices will prompt you to log in with your short username (e.g. abc12) and password and then trust or accept the new certificate. Please do accept this. Examples of what you might see are listed below. For help you can contact the Faculty/Staff Support Desk at 413-597-4090 or email [email protected] . Students should contact the Student Support Desk at 413-597-3088, send email to [email protected] or stop by the Student Support Desk in Sawyer Library, 2nd floor Center for Educational Technology. Mac laptops or iMacs may get a Verify Certificate message. 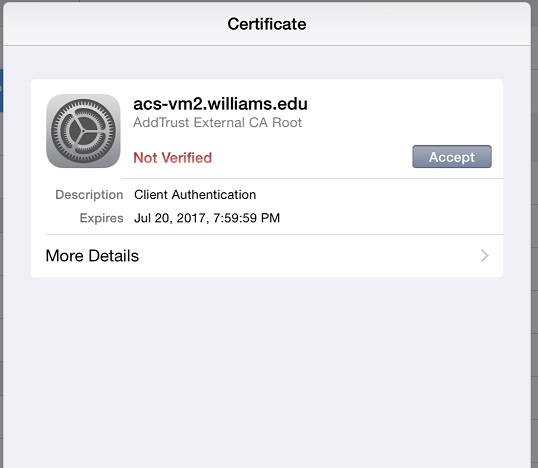 iPads and iPhones may get a prompt to accept the new certificate. Click Accept. Windows 7 computers may get a security alert regarding the new certificate. 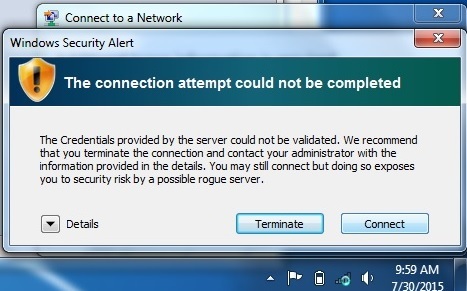 Despite the warning, this is our college server and can be trusted. Click Connect to continue. 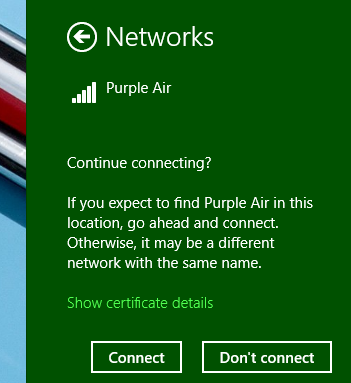 If you get an error message about needing Additional Information, please follow these Instructions to forget your old Purple Air connection. Windows 8 and 10 computers may get a security alert regarding the new certificate. Click Connect to continue. Android phones, chromebooks or tablets often require a manual configuration. 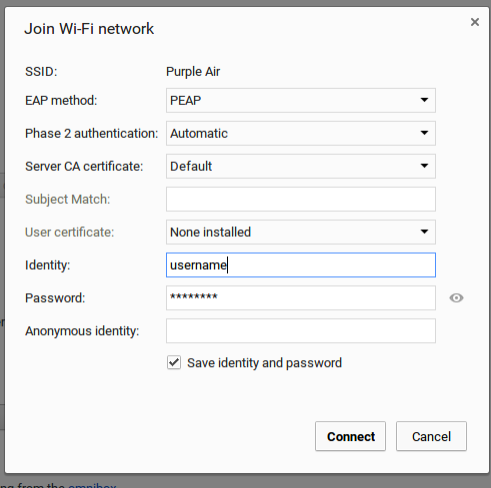 You may need to change the “EAP Method” to “PEAP”, then log in. So far in our testing these devices connect without needing to accept the new certificate. follow the setup for a Chromebook or Google Pixel. CA Certificate: (use sytem certificate), or None. Windows Phones simply accept the new certificate.